Friesach is a small historic town in Austria, located in the district of Sankt Veit an der Glan in Northern Carinthia. 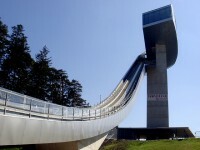 First mentioned in a document from the year 860, is known as the oldest city in Carinthia. Besides the medieval buildings in the city, residents are doing their best to keep alive the atmosphere of the past. 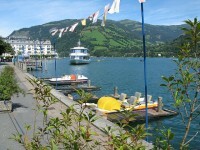 In late August each year it is being organized a medieval culture festival. Therefor, on the 30th of August everyone turns back to the everyday life of the medieval times, they dress according to those days and the electricity is replaced by candles and torches. Much of the city’s charm comes from its medieval architecture. 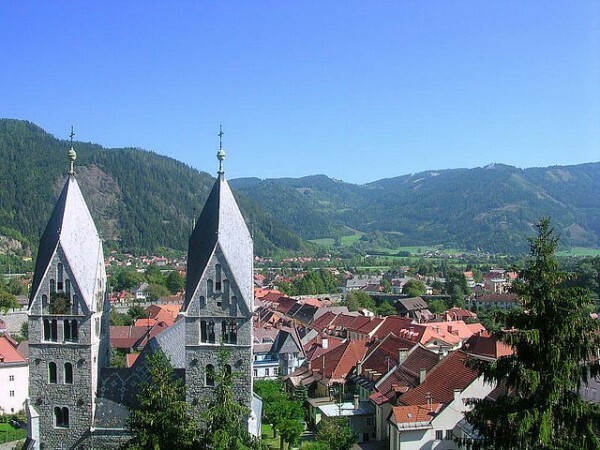 If you want to visit the best tourist attractions of Friesach, you can start from the Hauptplatz, which translated means Central Market, where is a Renaissance fountain from the sixteenth century (1563), the Old Town Hall with its pastel colored facades and the Romantic Stadtpfarrkirche Friesach or the Parish Church of St. Bartholomew from the twelfth century which has remarkable stained glass. Another building made 1255 in Romanesque style in the church of the Dominican Monastery of St. Nicholas which was the first church of this order in Austria. With an interesting, mostly Gothic interior, the church is distinguished by its famous statue of Madonna of Friesach dating from 1320 and the old altar from 1500. Wandering through the city of Friesach, you will find many stone houses and buildings erected before 1500 and parts of medieval fortifications: double imposing gray stone walls, towers and gates all around the old center. Up on the mountain is located an important tourist attraction in Friesach, the Petersberg Castle (Burg Petersberg) partly in ruins, built around 1076 by ​​Prince-Archbishop Gebhard of Salzburg -now it is a place for the Summer Theatre of Friesach-, and his well-preserved tower which now houses the City Museum (Stadtmuseum) where you can admire exhibitions of the history of the land and beautiful examples of Gothic art created by local artists along with fragments of the popular culture of Carinthia. In the same complex of fortifications you can findthe Church of Peter (XII century) and the parsonage, and below a small pavilion whose beauty impresses with its picturesque character. Other sights in Friesach that worth your attention include the Heiligblutkirche (Holy Blood Seminary Church), the Deutschordenskirche (St. Blasius Church of the German Order), the ruins of the Virgilienberg Church, the four-story barn (XIV -XVI) and Ruins of Rotturm (XIII century). 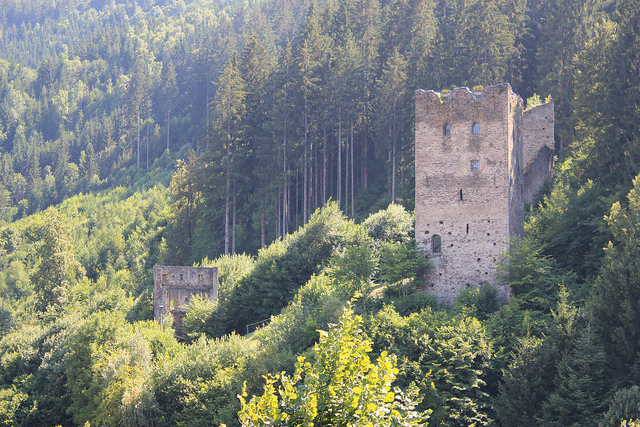 Unfortunately the Geiersberg Castle is a private propriety and it is not opened to the public.